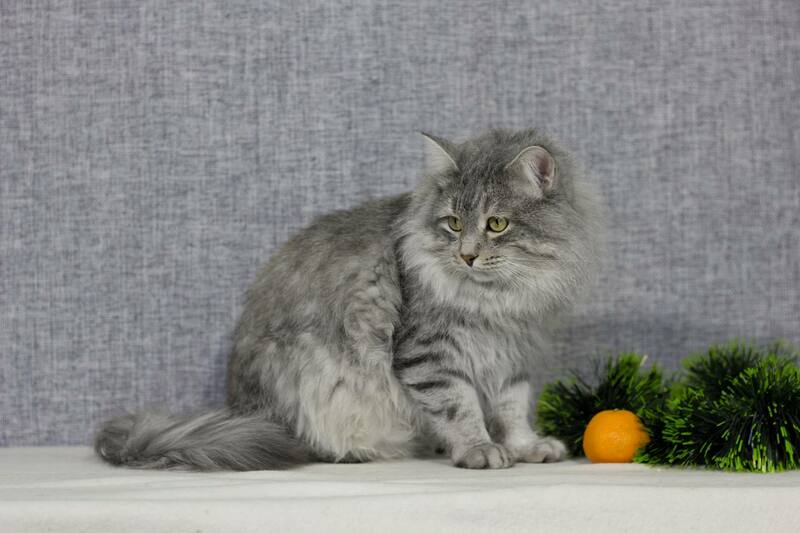 Mamin-Siberian was found 13 October 2013 by Irina Samoylova Taymur cattery. 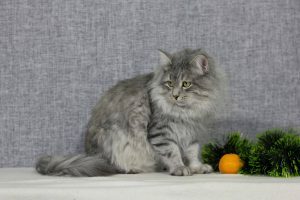 She tells us here exactly how and where she found this beautiful Siberian cat. It happened in a suburb of the city of Chelyabinsk in the park. It was very cold and rainy. The cat jumped out from behind a tree in front of me. The cat ran out and began to rub on their feet. He was a thin, dirty and frozen, crumpled wool. I took it home, bathed and fed. In the evening I showed the vet, he was examined and taken tests. A veterinarian determined the age – 8-10 months. The cat was absolutely healthy. 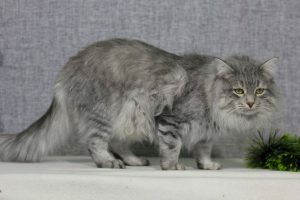 In cat was excellent appetite and he quickly gained weight and had grown a coat. He was like a cat sibiskogo. 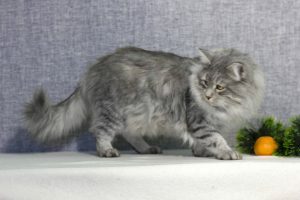 A few months later, I showed it to the show, where he was recognized as the Siberian cat. Mamin-Sibiryak has a very large body and long hair. He loves to swim and play with children. He was shown Jan. 4, 2014 and these judges gave him a Siberian certificate. Judges: Peperman B, Levkovich L.
He is ns 24 and he carries dilution. He does not carry Cp gene and was tested by Irina.